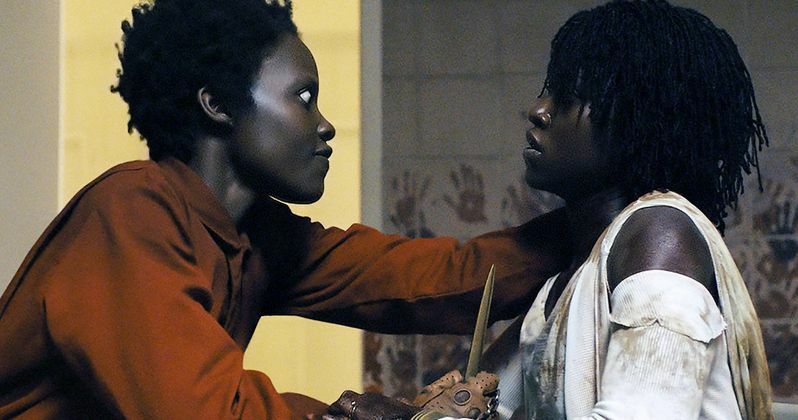 Jordan Peele's Us dominated this weekend's box office with a record breaking $70.3 million domestic opening. The debut was enough to earn the Get Out follow up the third highest grossing debut for a horror movie in history. Only Steven Muschietti's big screen adaptation of Stephen King's IT ($123.4 million) and last year's Halloween sequel ($76.2 million) are ahead of Us. Peele's latest project has been a hit with fans and critics and many recommend seeing the movie twice to fully digest everything that is going on in it. As for the number two spot this weekend, that goes to Marvel Studios' Captain Marvel, which was able to bring in an additional $35 million. In the three weeks that the Carol Danvers standalone movie has been in theaters, it has earned over $910 million globally and is inching towards the $1 billion club, which it will inevitably do. It's just a matter of time now. China has proven to be a huge help in the box office department, having brought in $131.8 million, much like it was for Aquaman and Venom. Wonder Park spent its second weekend in theaters at number three after bringing in $9 million. The animated family movie has earned $39.7 million worldwide. Teen romance Five Feet Apart took the fourth position this weekend with $8.7 million. To date, the movie has brought in $32.7 million. How to Train Your Dragon: The Hidden World earned $6.5 million this weekend, which was enough to take the fifth spot. To date, the final installment in the animated trilogy has earned $488 million globally. Tyler Perry's A Madea Family Funeral took the sixth spot at this weekend's box office, having brought in $4.5 million. Perry has claimed that this will be the last of the Madea movies, but he has said this in the past and will more than likely end up coming back to the beloved character. Taking the seventh spot this weekend is A24's Gloria Bell, which took in $1.8 million this weekend. The drama stars Julianne Moore and has been getting praise from critics since it hit theaters three weeks ago. No Manches Frida 2 fell from number six to number eight this weekend with $1.7 million. The comedy has earned a grand total of $6.6 million since its release two weeks ago. As for the ninth spot, that went to The LEGO Movie 2: The Second Part with $1.1 million. Though the sequel hasn't been the box office smash that the studio expected, it has been hanging on in the top ten. And finally, Alita: Battle Angel landed the tenth spot, with $1 million. You can check out the rest of this weekend's numbers over at Box Office Mojo.